“When you know the notes to sing … you can sing most anything…” the memorable song from the iconic movie sounded even more melodious as I heard my daughters humming along the soundtrack of The Sound of Music. My daughters Sayesha and Elina (the little imitator) jumped in cheer and we all sang along the protagonist Maria. Next were a series of questions from the two inquisitive minds — “Mama, what is an abbey?”, “Is Maria still alive?”, “Can we also take a ride in the Salzburg bus?”, “And where is this country Salzburg?” So on and so forth. 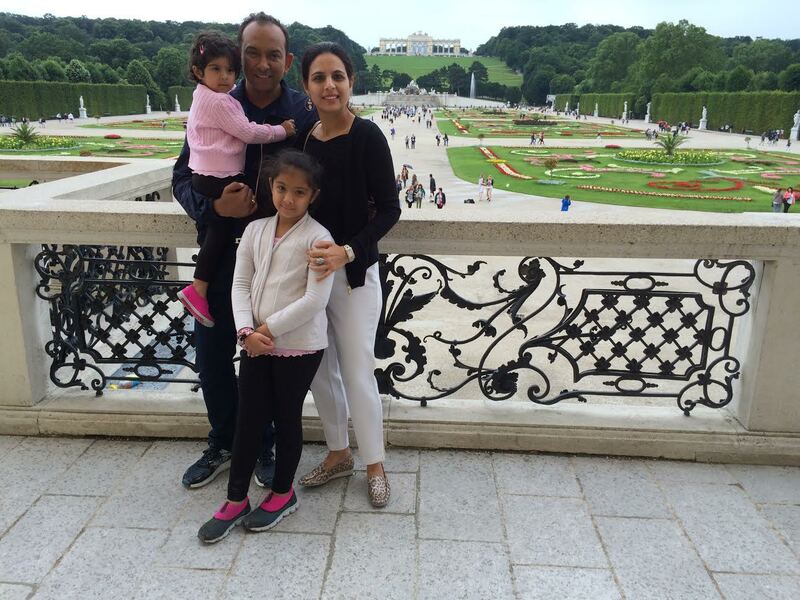 That’s when I decided it was time for our next vacation — to Austria — to help my angels relive the magic of the all-time classic. After I decided on my itinerary, my mom-in-law and her sister also agreed to join us and that took the girl’s excitement levels to the moon. 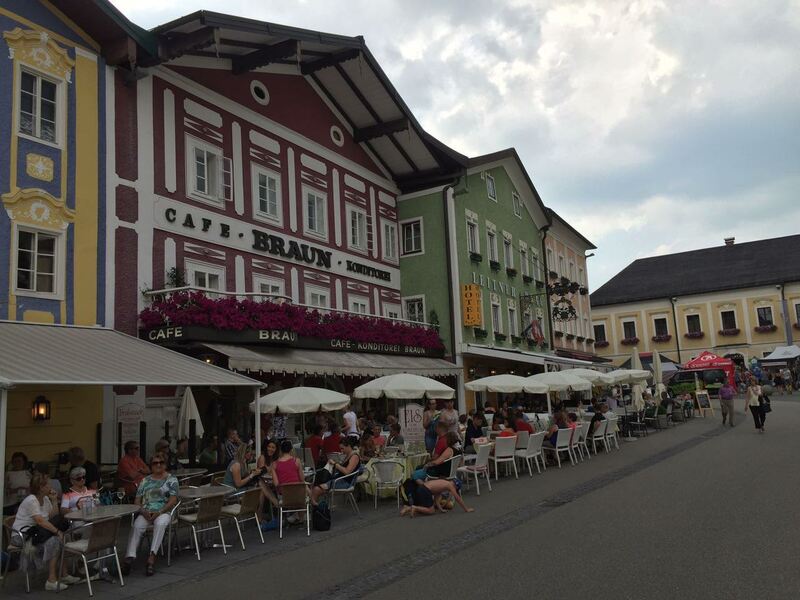 The idea was to enjoy the countryside as well as the modern side of Austria. So, we planned a visit to Vienna (2 nights), Salzburg (2 nights), Wolfgangsee (1 night) and Innsbruck (2 nights). 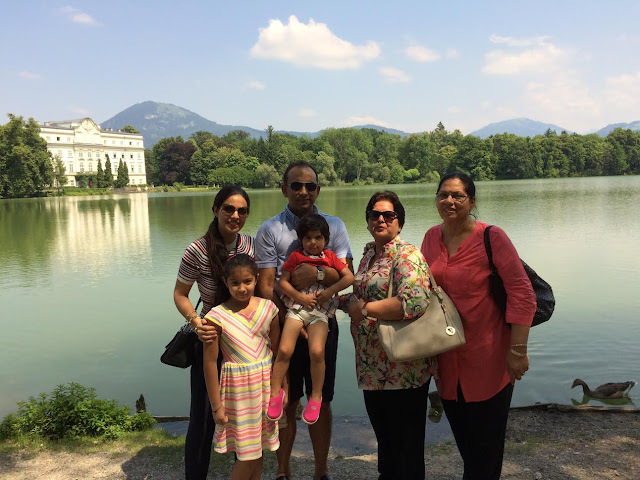 We booked the direct Air India flight to Vienna. Old Town by river Danube. My mother in law making a wish! In Vienna, we stayed the night at Hilton hotel on the Danube river waterfront. After a long flight, it was relaxing to walk along the riverbed and watch the yachts and cruises dock. Next day, we took the tour of this lively city and were mesmerized by the baroque architecture of the Schonbrunn Palace and St.Stephens Cathedral. 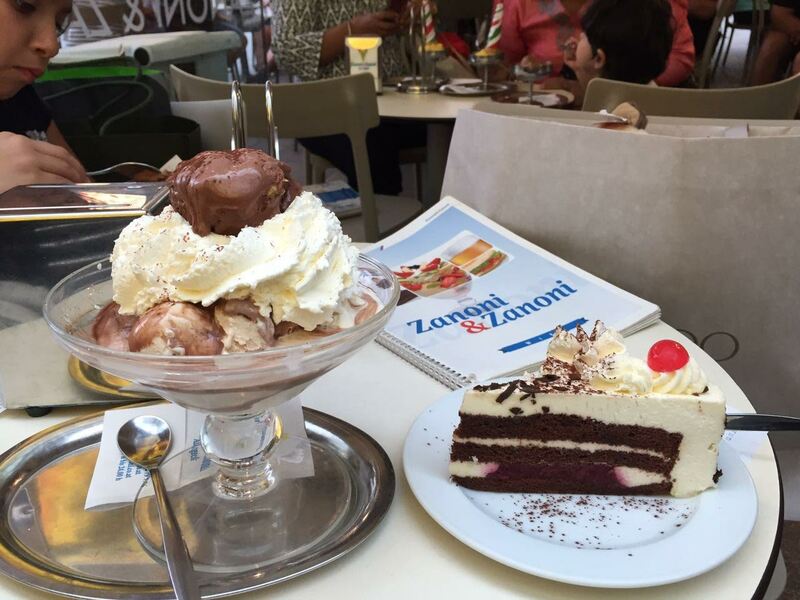 We halted for lunch at Italian restaurant (Danieli) and walked towards famous Zanoni & Zanoni for desserts. Buzzing and packed with locals and tourists, the speed of the service and the desserts were unbelievable. Later the girls enjoyed the Fiaker ride and food at an Indian restaurant in the Old town. After enjoying this fusion of serene historical architecture and fast paced Vienna, we called it a day. 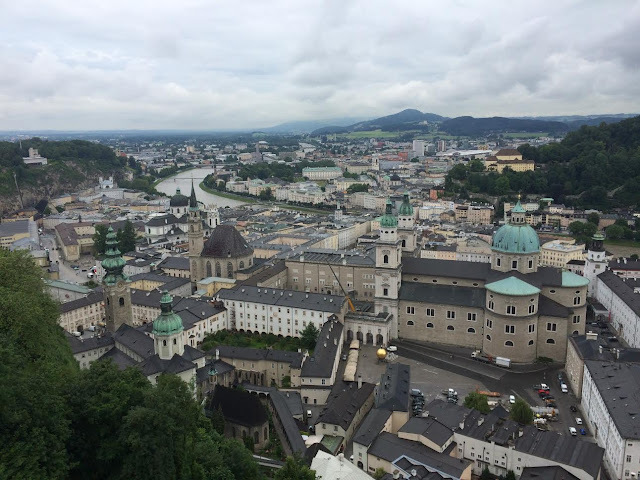 On day 3, we started early for Salzburg. Four hours of drive peppered with pristine views seemed less. The girls were thrilled and eagerly looking forward to an exciting day. We had pre-booked tours for the following two days with Panorama tours Austria. Now came the moment we all had sails for. 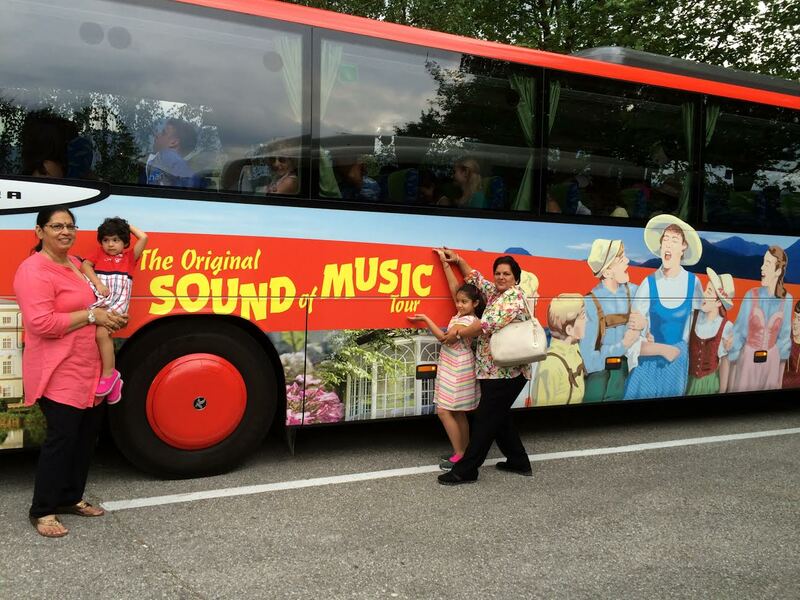 After lunch, we were to board the Sound of Music tour bus. We crossed the high green fields bewitched by the setting with the music and famous scenes of the film played in the bus acting as a perfect setting for our sojourn. 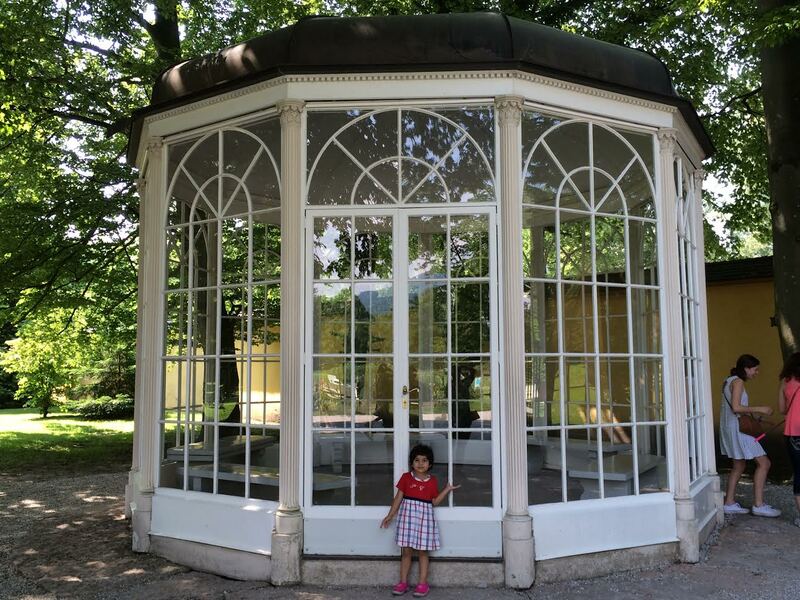 The visit to the Von trapp family house and the glass Gazebo was enchanting. As we approached the Mirabell garden, the girls pointed out the staircase where the movie song was shot and started singing “Do a deer …” with the rest of the tourist on the bus. We clicked lots of pictures and were had one of the most memorable days together. The day though ended with heavy showers and drenched us but the couldn’t dampen our spirits. The eternal fans of ‘Sound of Music’ reached hotel fully drenched but with fond memories. The city surpassed our expectations. 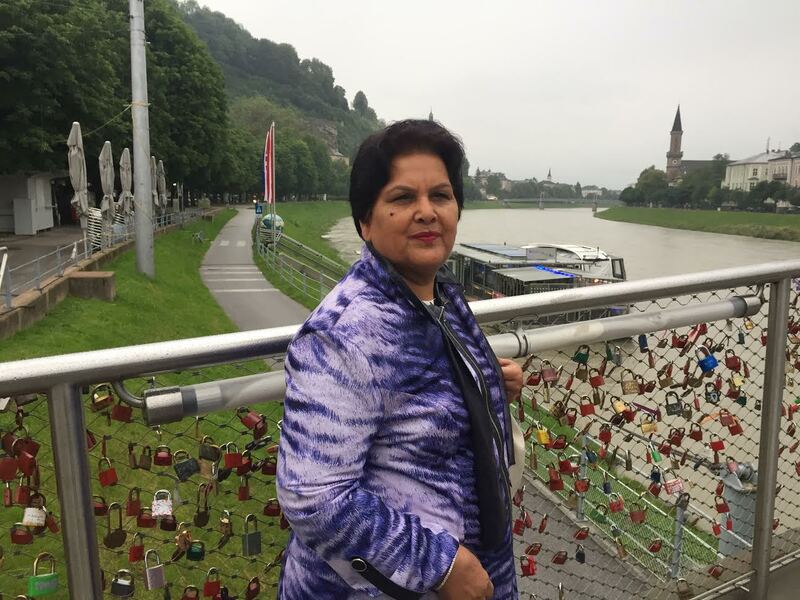 The next full day tour included visit to the Bavaria region in Germany, Eagles Nest (mountain top Hitler’s residence has a beautiful view), Berchtesgaden Village (restaurants serve the best apple strudel) and lastly the Salt mines. Dressed in the miner’s uniform we were taken to the depths of the active salt mine. It was an exciting mix of train and boat ride. This underground adventure was thoroughly enjoyed by the kids as the whole family got to slide together. We sauntered into salt shop at the exit which had thousands of variety of salt. On return we also got to see the beautiful Konigssee Lake. With the dawn of a new day we visited Hohensalzburg Fortress, to get the best view of the entire city. We ate the ‘Original Sacher Torte’ beautifully packed and available only at the Sacher Hotel. Brimming with galleries, museums, music universities and Mozart’s residence….. we bid adieu to the city and started our journey to Wolfgangsee (nearly one hour from Salzburg by road). On our way we crossed a small town Fuschl and the landmark Redbull Head office. The whole stretch (nearly 11kms) of Wolfgansee Lake is splendid and one of the popular hotels has a unique heated pool in the lake. The town’s market place has a diverse selection of Austrian handmade dresses (Dirndl). There was no doubt we had to buy those dresses for the girls. 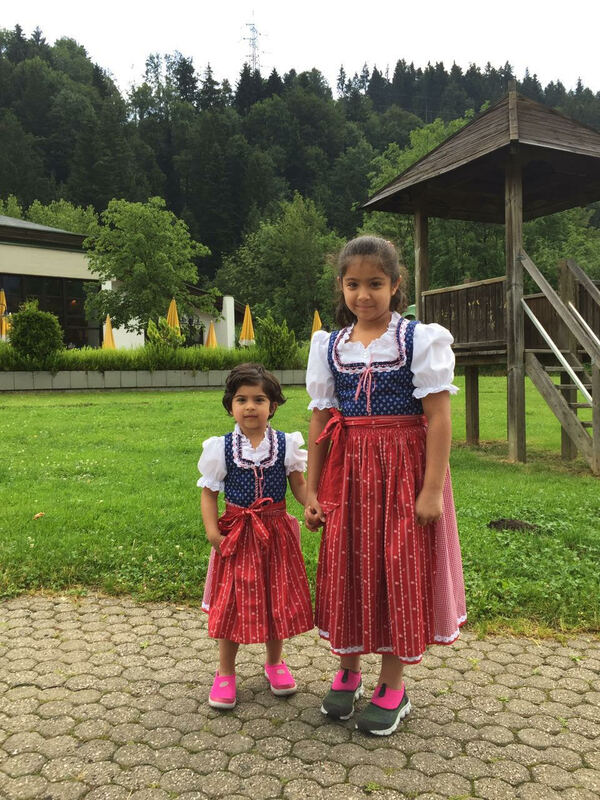 The girls gleefully adorned the traditional attire and happily accepted compliments from locals as they frolicked around the town in Drindl. Following morning we headed towards the last destination in the itinerary. It took us 3 hours by road to reach Innsbruck. We used the 24 hour card to cover all the tourist attractions of the city. The Nordkettenbahnen cable way was fascinating for us as we rose above the clouds to get a breathtaking view from the mountain peak. Next day we went for the Swarovski tour and were left spellbound by sparkles. We stayed the whole day in the museum and the girls thoroughly enjoyed the three storey play area. 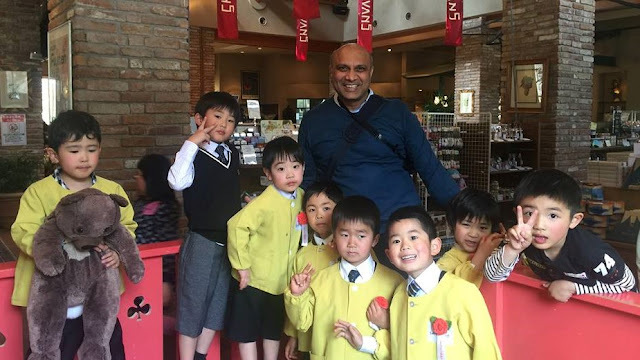 We returned to the hotel with vivid memories of snow capped mountains and the colorful houses. Alas! The holiday came to an end. Totally intoxicated with bright skies, heavenly green fields, fresh mountain air, idyllic sceneries and the dynamic city life, I think this was most beatific trip for girls. 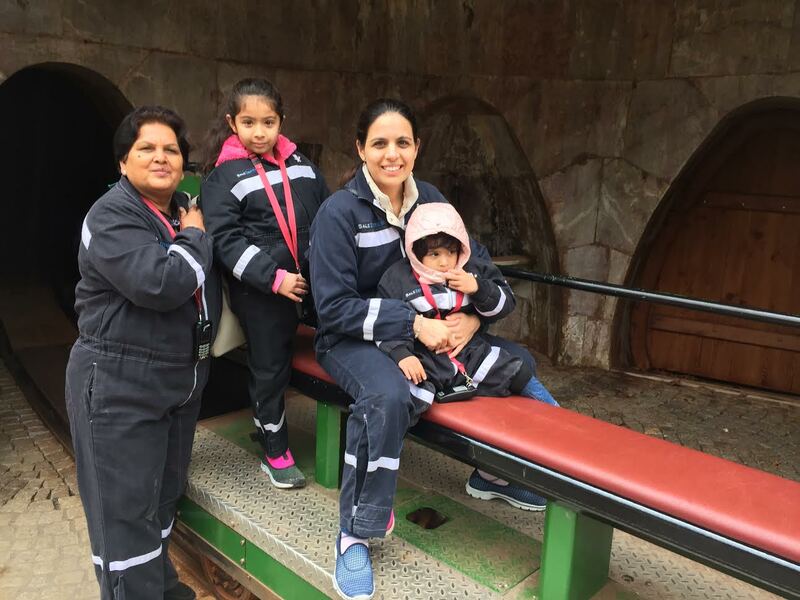 Vijeta Rathee, an avid traveller, loves heading out to less explored destinations with her family.